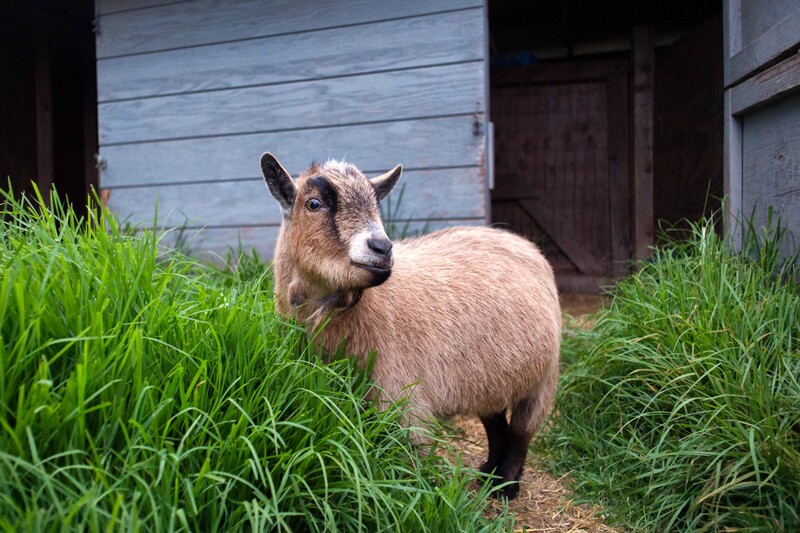 Billy goat, pygmy goat. Same idea. Cubs must lose. Photo by Steve Hymon. It has come down to this: the Dodgers must save the Cubs from themselves because a World Series win by the Chicago Cubs would absolutely ruin them and everything that is special about the franchise, namely that they never win the big one. Plus, it will be fun to see if Clayton Kershaw and his arm can manage to appear in every single game! Go Blue! Win for the sake of baseball! Board near the taxi zone on the Alameda Street side of Union Station. Service leaves Union Station every 10 minutes, starting 2 1/2 hours before game time through the third inning for all home games. Return service runs until 45 minutes after the final out or longer if a big crowd. To accommodate expected crowds, maintenance on Red/Purple Lines will be postponed until after the game ends to allow for train service every 10 minutes between Union Station and Wilshire/Vermont Station. Buses run every 20 minutes starting 2 1/2 hours before game time, with the last bus leaving Harbor Gateway Transit Center at game time. Return service begins after the end of the seventh inning, with the last bus departing 45 minutes after the final out or longer if a big crowd. Union Station is the primary transit hub for the region and is served by the Metro Red/Purple Line subway, the Metro Gold Line, the Silver Line, numerous Metro Bus lines, Amtrak and Metrolink. Please click here for Metro maps and timetables of every rail and bus line. You can also use Trip Planner or Google Transit to find routes and connections. Underground parking is available at Union Station for $8, use entrances on Vignes or Cesar Chavez. Dodger Stadium Express service from Union Station is provided under a grant approved by the Mobile Source Air Pollution Reduction Review Committee (MSRC). Funding for the Harbor Gateway Transit Center service is being provided by Metro’s ExpressLanes Net Toll Reinvestment Grant Program. For more details, here’s the full press release from Metro. South bay residents are lucky………..
Obviously you haven’t looked at the latest #40 bus schedule. Because of the lines waiting at Union Station and the traffic on Cesar Chavez (despite the bus lane), sometimes it’s faster to just walk up the hill from Chinatown Station. Unfortunately the map does not do a good job at showing the route (for the record, it’s west through the Blossom Plaza courtyard, left/south on Broadway, right/west on College, right/north on Yale, over the bridge and up the hill through the “Downtown” Gate which leads to the back of the pavilions). Check out the Palm Springs Aerial Tramway for ideas on how to transport people from the desert to the alpine San Jacinto Mts, Mammoth Mt. Ski Resort has done it too! A heavy duty lift from the Gold Line would do the same for people going to see our home team, the Dodgers.. Not from the Chinatown Station, but, from a new Dodger/LA Historic State Park Station that would operate when the Dodgers had home games or when the Park was hosting a big event! The Dodgers have the money to build the system, being the LA Park Station, the Stadium Station adjacent to right field and the air tram conveyance. Permits and getting Metro to stop the Gold Line at the new station on game days need to happen too.